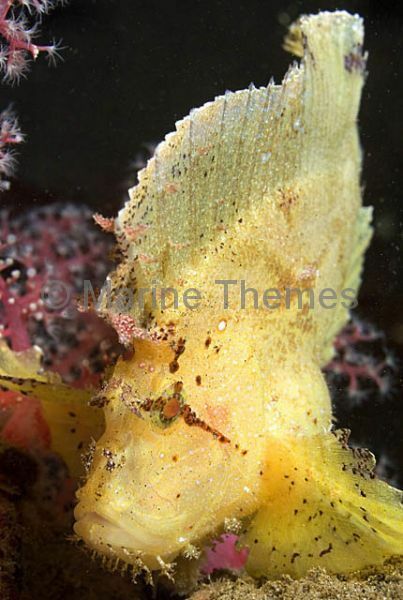 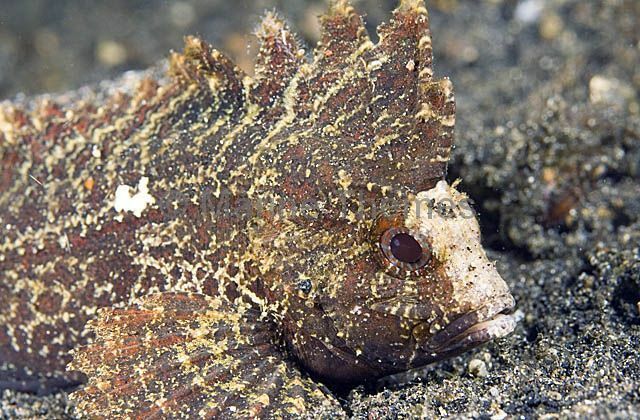 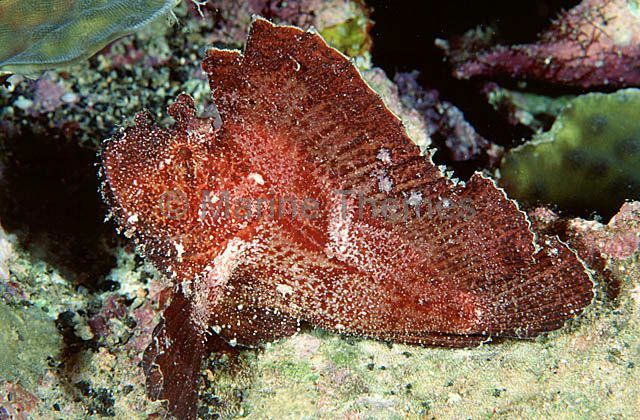 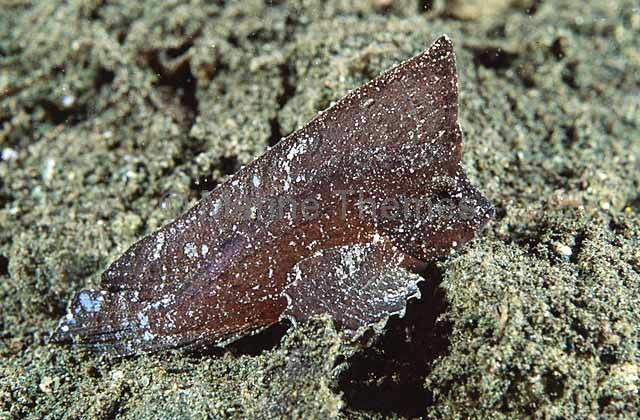 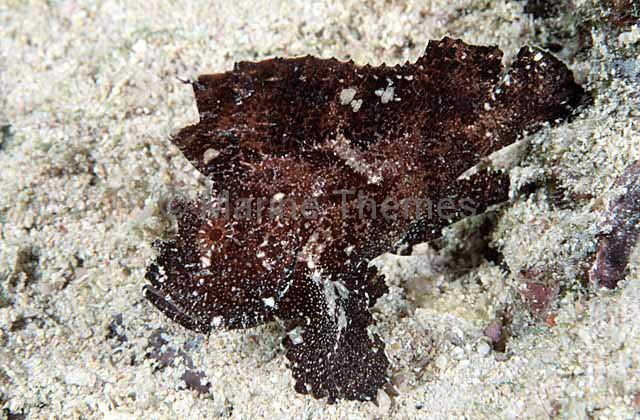 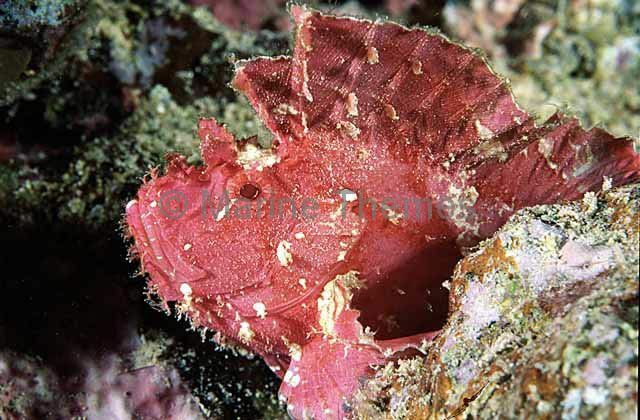 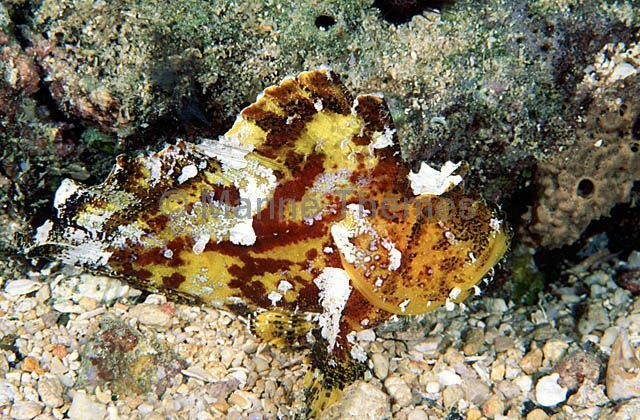 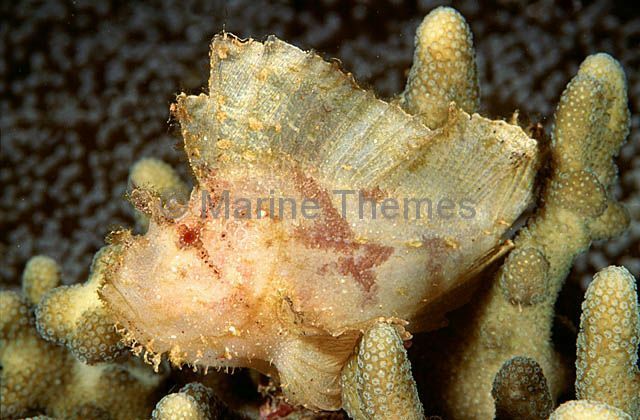 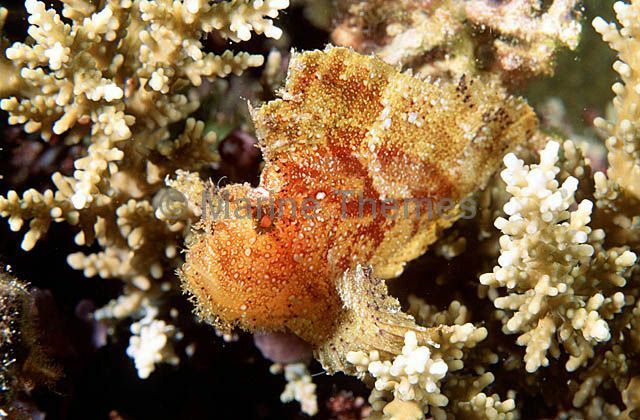 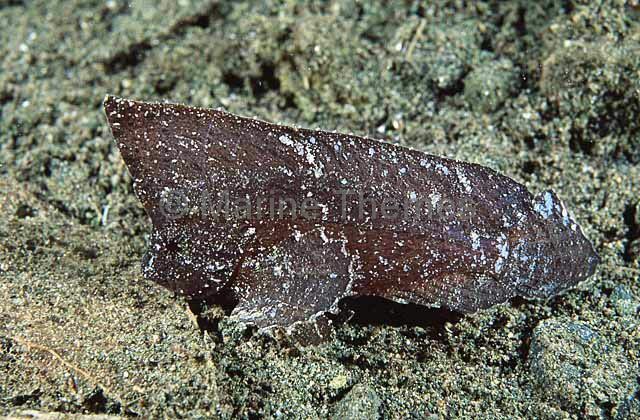 Leaf Scorpionfish (Taenianotus triacanthus) Camouflage. 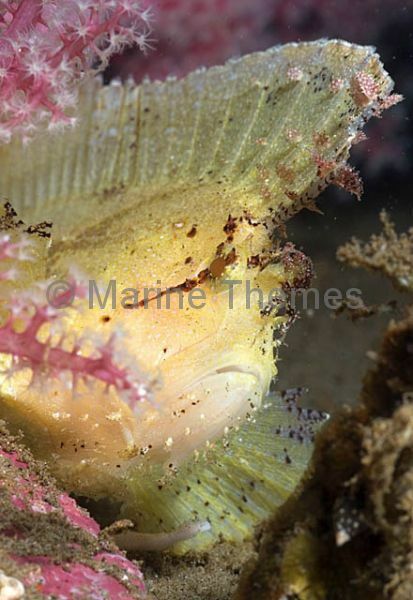 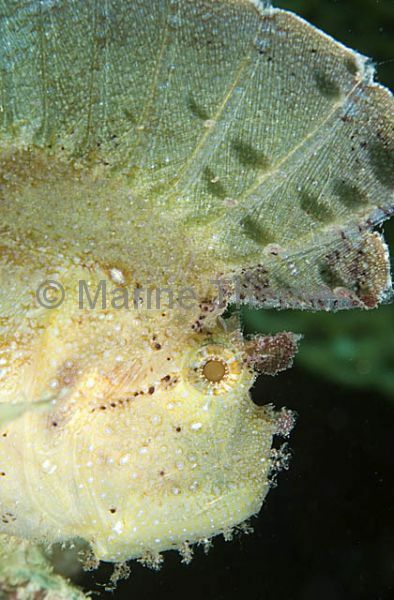 Leaf Scorpionfish (Taenianotus triacanthus) Mimics a leaf on the seabed swaying with the current. 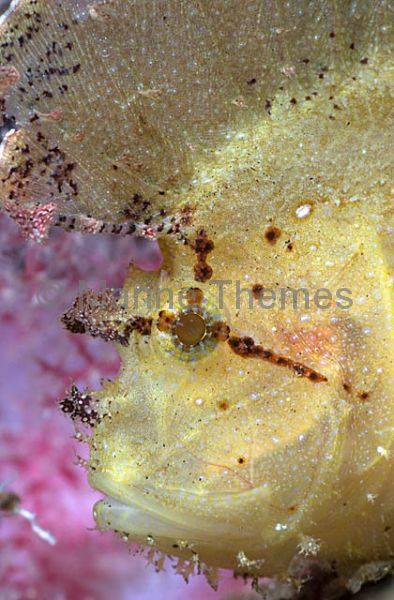 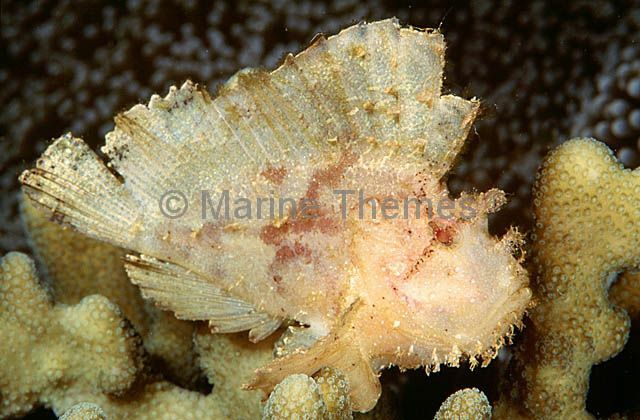 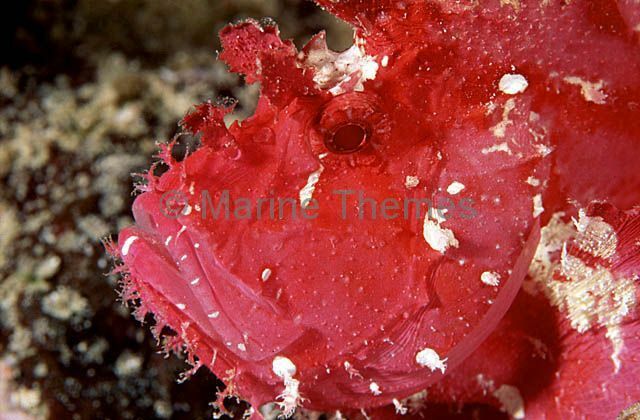 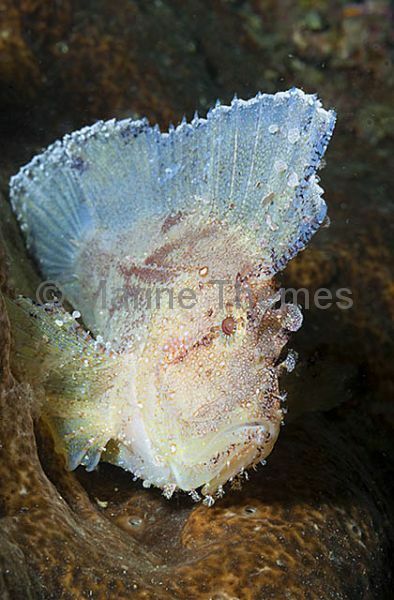 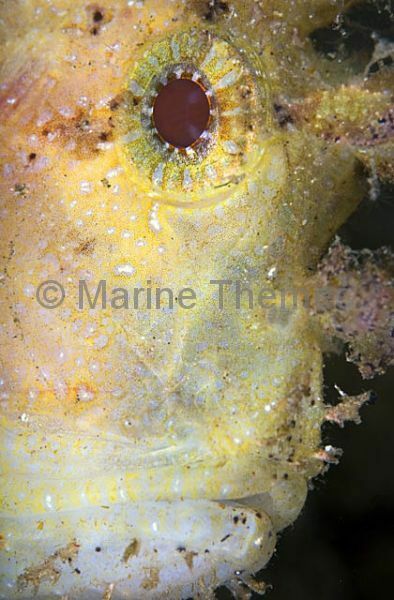 Leaf Scorpionfish (Taenianotus triacanthus) portrait. 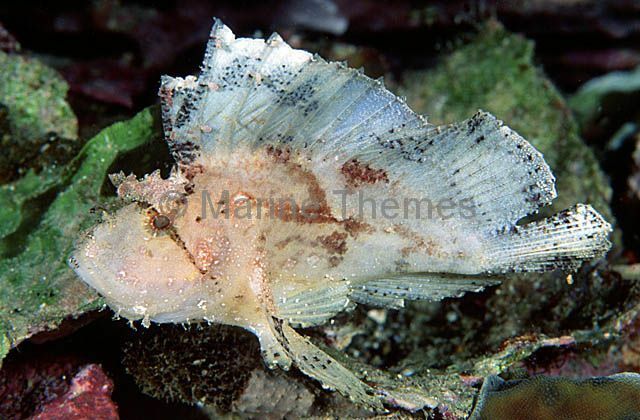 Leaf Scorpionfish (Taenianotus triacanthus) with dorsal fin raised in defensive or threat posture. 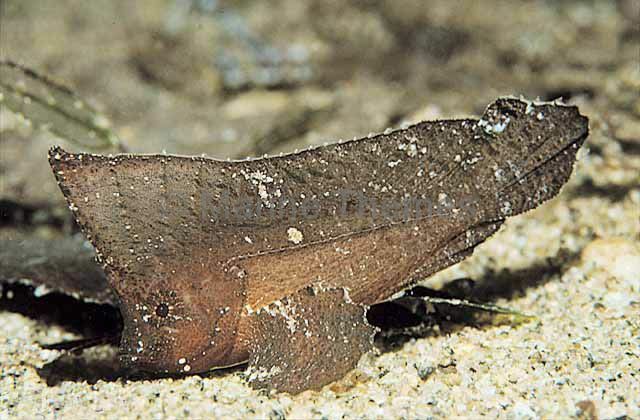 Cockatoo Waspfish (Ablabys taenianotus) Cryptic bottom dwelling fish which imitates dead leaf matter.